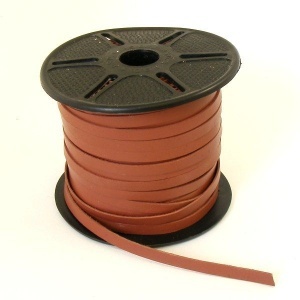 This is real leather lacing, 6mm wide and approx 1mm thick. It is a reddish brown colour, often described as oxblood. This is a 5 metre length.